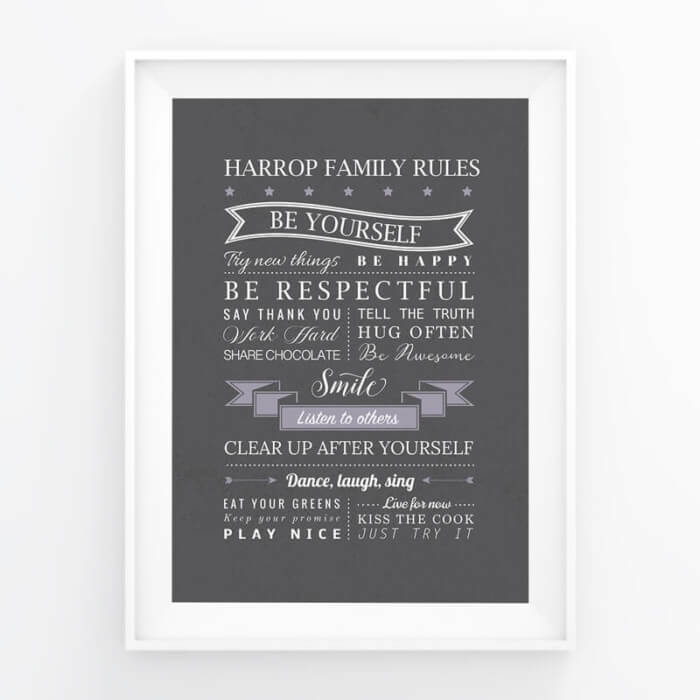 This Personalised Family Rules Print would make a wonderful piece of wall art for any family home. 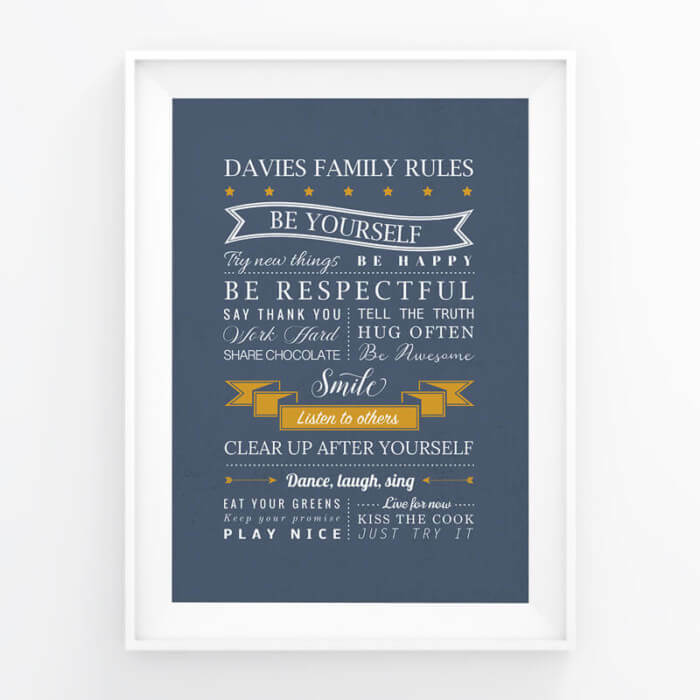 This Personalised Family Rules Print would make a wonderful piece of wall art for any family home. 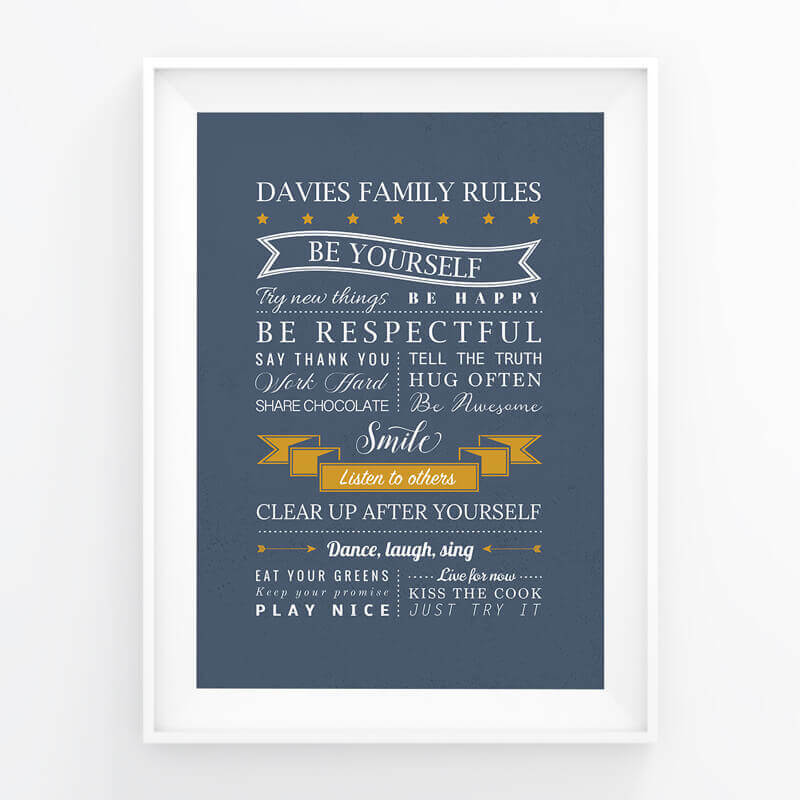 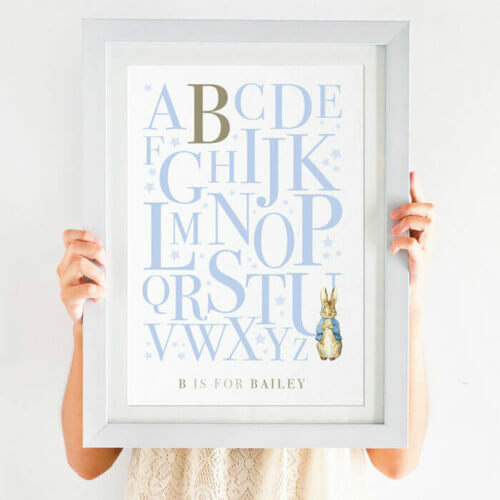 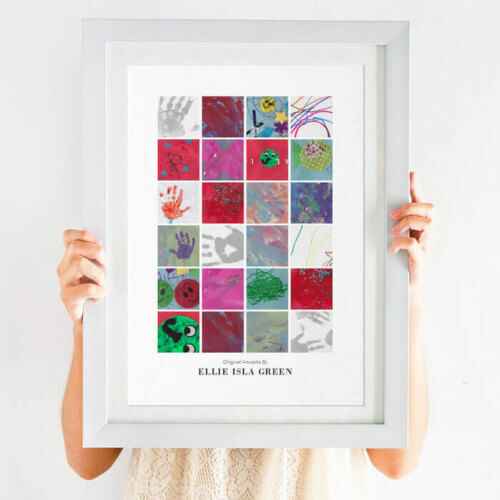 The family rules print can be personalised using you family name and choice of colour scheme. 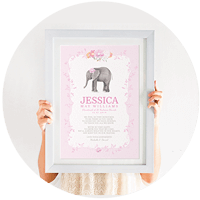 The design has a subtle texture in the background, you can choose to have this or opt for texture-less. 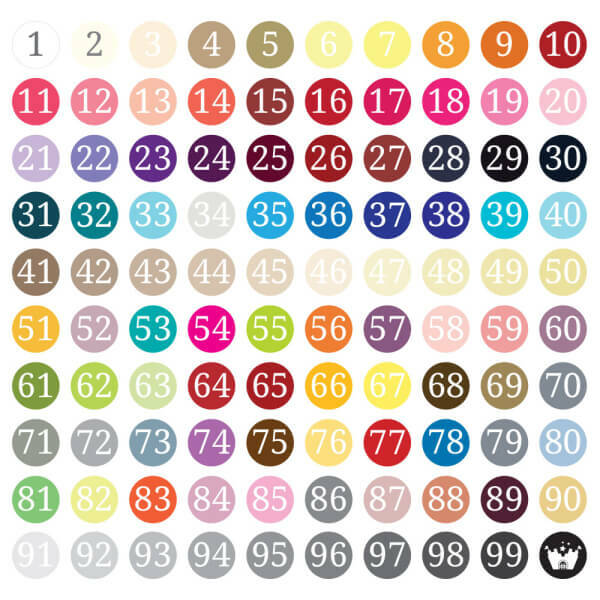 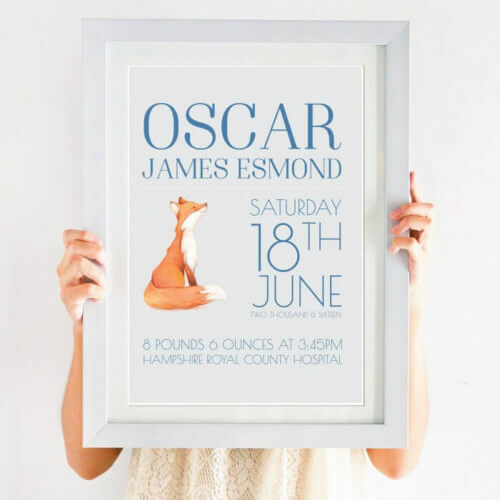 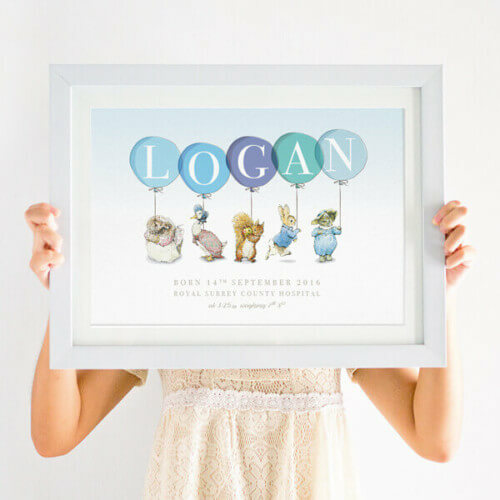 It has all the elements you need to create a personal gift that can’t be found on the high street, the print is designed in-house and is printed on a unique watercolour or matt stock paper. 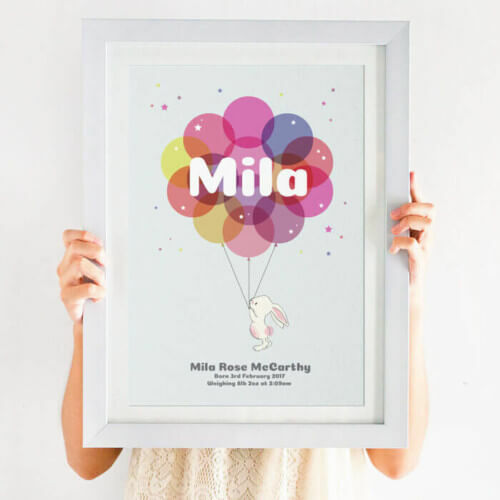 It’s available in three sizes, A4, A3 and A2! 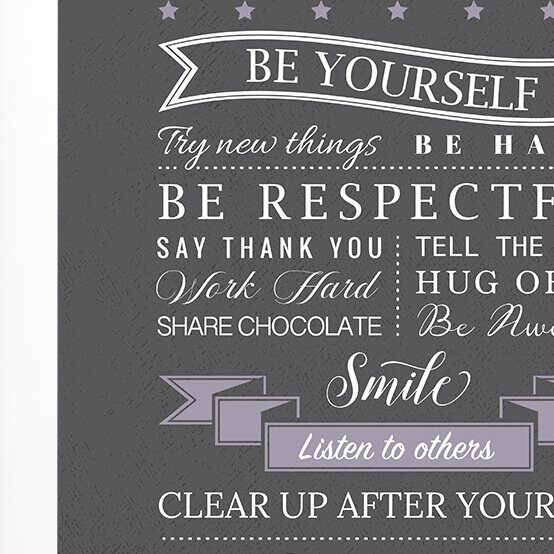 The print includes the words; ‘your family name’ Family Rules, Be yourself, Try new things, be happy, be respectful, say than you, work hard, share chocolate, tell the truth hug often, be awesome, smile, listen to others, clear up after yourself, dance, laugh, sing, Eat your greens, Keep your promise, play nice, Live for now, kiss the cook, just try it. 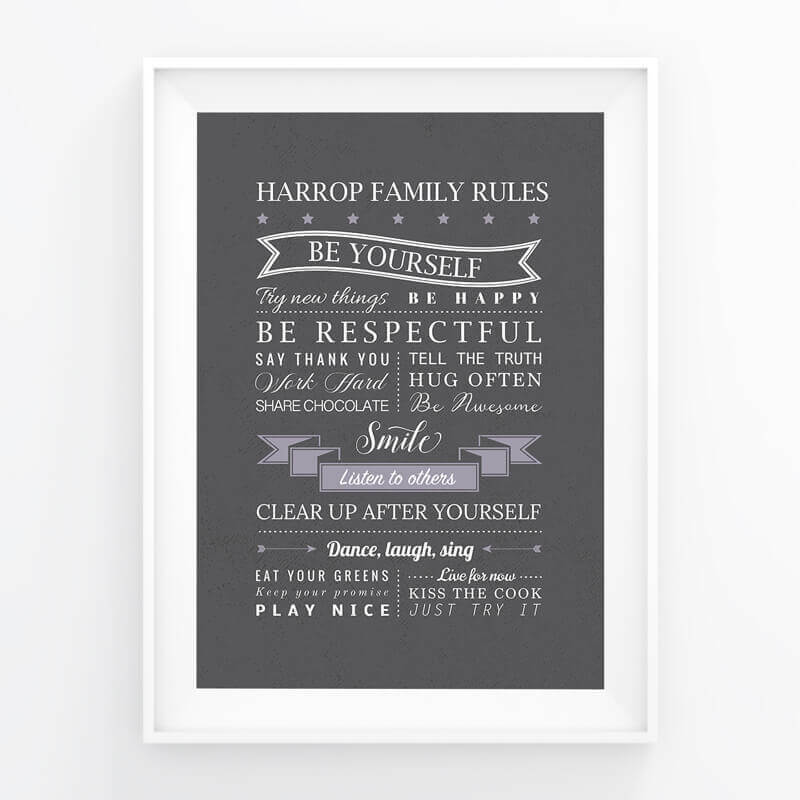 You can alternatively add your own rules by using the custom text area above – we will require between 20-30 family rules.